There are a million homemade blackboard (or chalkboard, I suppose, as it won’t be black) paint knocking about the Internet, so I haven’t made an amazing discovery here, but I thought I’d test it and see if it works. 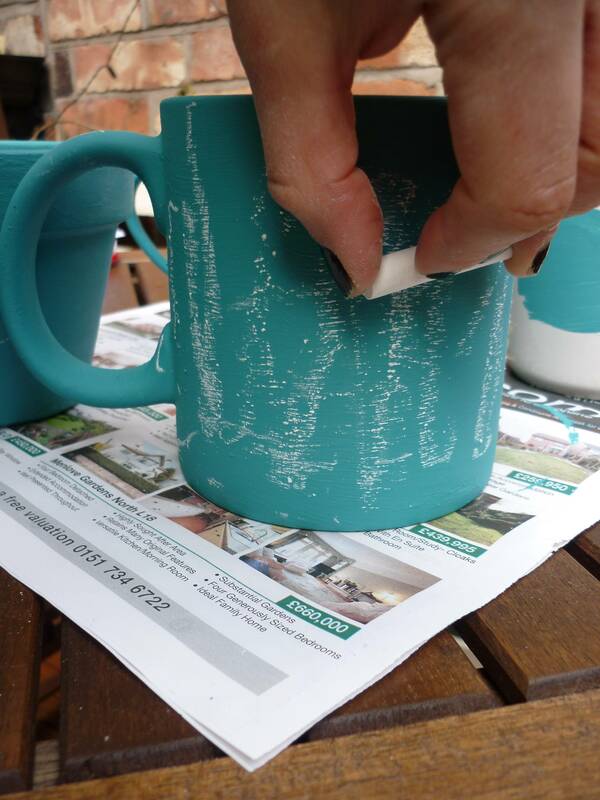 You just need dry grout (lots of American websites said “unsanded grout”, which I have no idea what it is, so I just bought general purpose tile grout and it seemed to do the job), acrylic paint (make sure it’s water based) and a container to mix it. 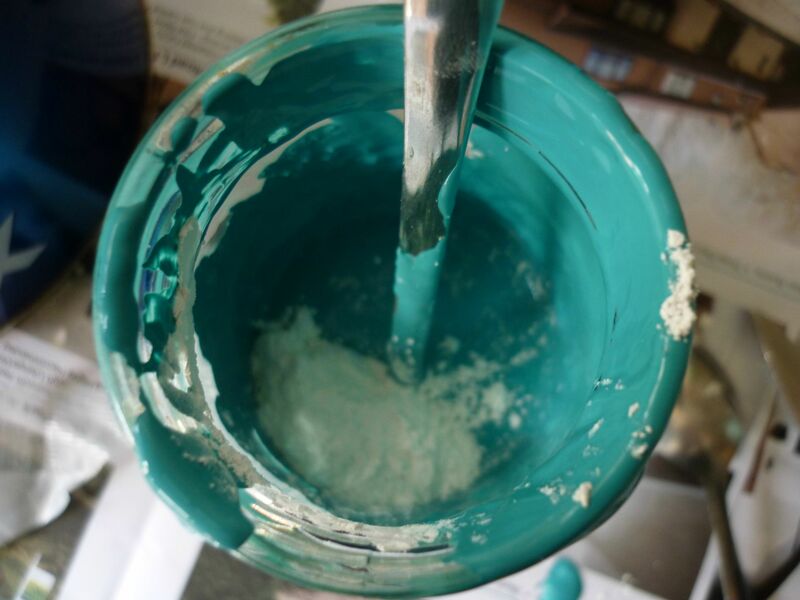 Some places recommended mixing half an half and others said a cup of paint to every 2 tablespoons of grout. 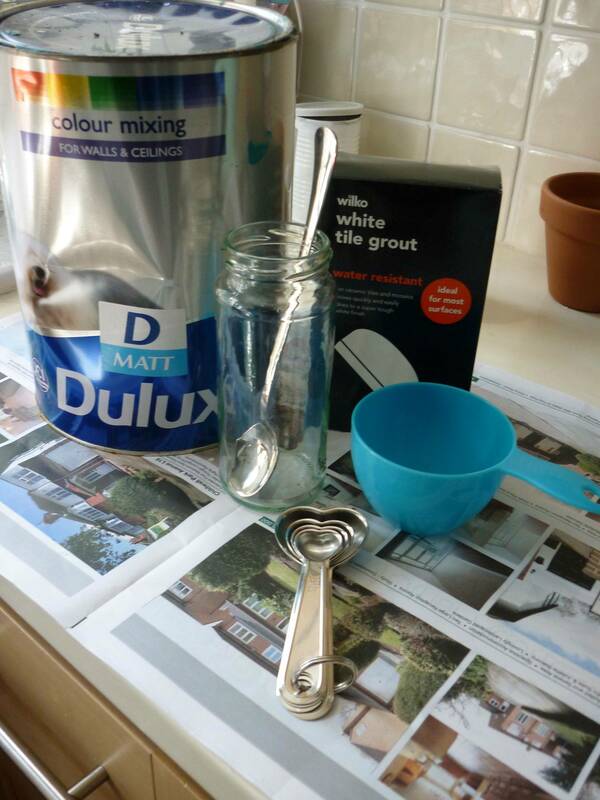 I, as usual, couldn’t be bothered measuring things (or the extra effort of getting paint off the measuring cups) so I just added a teaspoon at a time until it looked like it was ready, but my guess is that it must have been quite close to the 2 tbsp to a cup mix. The mix is quite lumpy, so make sure you stir it well to dissolve as many lumps as possible. After a while, mine went a bit too thick, so I added a little bit of water to thin it down and that seemed to work fine. 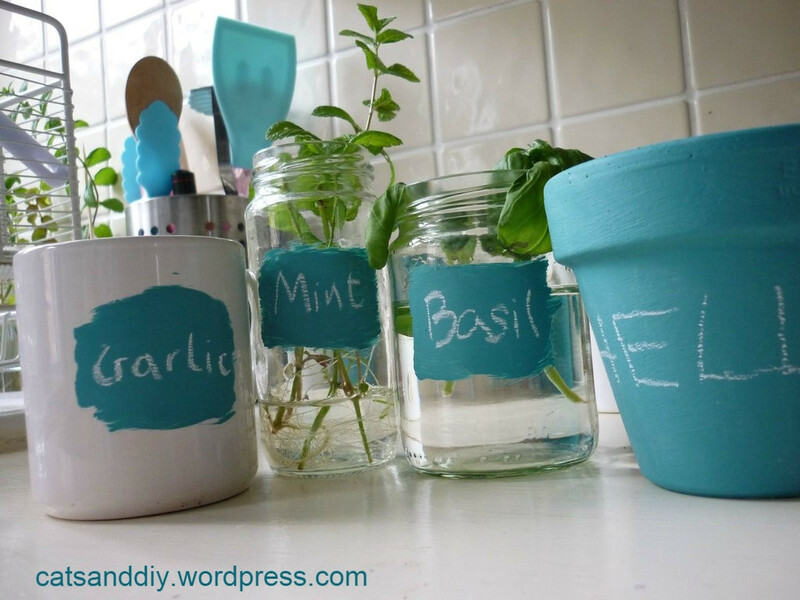 Once it’s ready you can just paint whatever you want with it as you would with shop-bought blackboard paint. On the upside, it doesn’t smell as bad and you can mix it with any colour acrylic paint you want. When it’s dry, prime the surface by rubbing a chalk on the side and wiping it off (again, like you would with regular blackboard paint) and it’s ready. I read in a few places that blackboard pens don’t really work with this, so better stick to chalk only. Thank you, Laura! If I’d know it was this easy I would’ve done it ages ago. Cool – I see a lot of blackboard stuff on the internet too, but I like your blue. I never realized you could make your own. Another thing I will have to try. I’d seen it on the Internet a while ago but never got round to having a go until the other day. 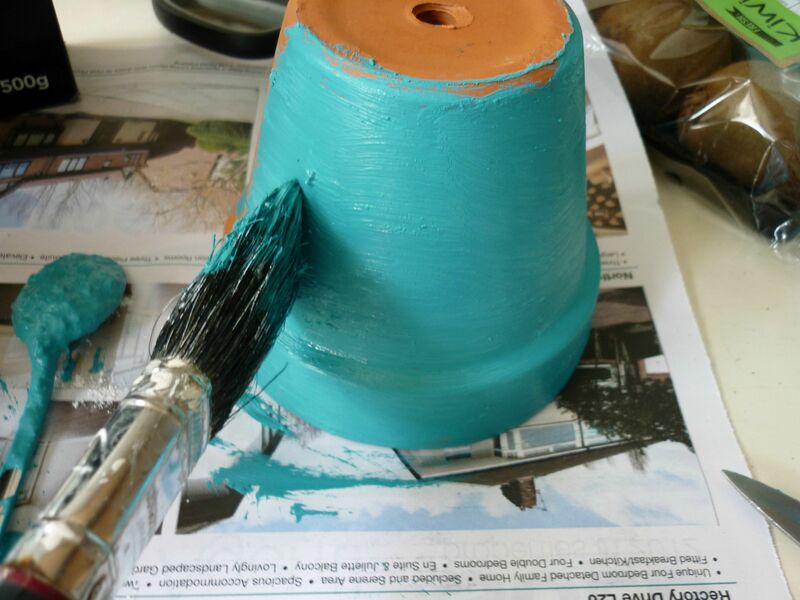 It’s surprisingly easy, so if you’ve got any old paint knocking about the house it’s definitely worth a try.